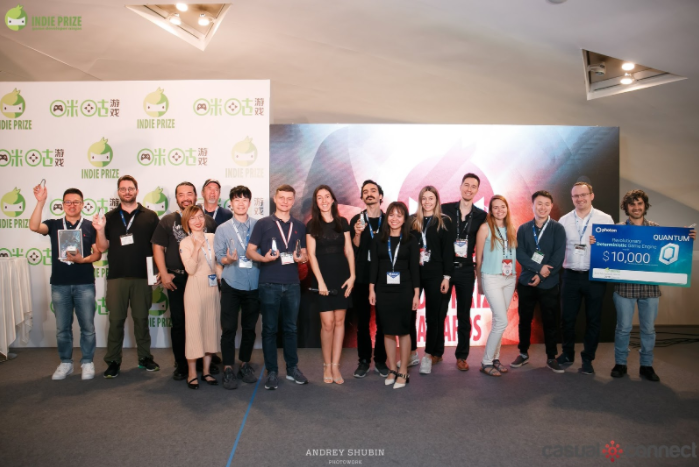 A multitude of great indie games have been judged at this year's Casual Connect Asia in Shenzhen, China, and now that the voting is settled, it's time to reveal the winners. The Indie games at Casual Connect Asia in Shenzhen China have been played and judged and now we can reveal the winners of the Indie Prize, including what the fans on the ground thought was the best in show. While many games vied for the top spot, in the end only a handful were able to walk away with the trophies. Best Game Audio went to Bushy Tail by Fuero Games Sp. z o.o of Poland. This delightful story driven experience surrounds the tale of Little Fix as he searches for his lost parents. Blending narrative and gameplay, the game is related through the perspective of three different children, changing the story in different ways as they relate their perspective. Bushy Tail also claimed Best Game Narrative from the judges. Best Game Design went to Tales of the Neon Sea by Palm Pioneer, where the player must use their ability to solve puzzles to play as a detective tracking down a killer in a futuristic world inhabited by humans and robots. Tales of the Neon Sea also picked up the Most Innovative Game award at the show. Best Game Art went to Flipping Filip, a puzzle solving game that featured a dual-sided character at war within himself. With logical thinking and exploration required to beat it, the art team made sure to focus heavily on allowing the player to fully understand everything on offer. Best Multiplayer Game was won by Circle of Sumo, by Yonder from Italy, and featured everything a great multiplayer game should have in the modern age with its fast-paced and competitive gameplay. It’s no wonder this proved to be a real hit amongst the players at CCA. The Best Kids and Family Game was picked up by My Time at Portia, by Pathea Games from China. A fresh take on simulation / role-playing set in a post-apocalyptic world filled with relics of the past saw players trying to build and maintain a new town while dealing with the strange and mysterious monsters lurking in the dungeons. Best Mobile Game was also picked up by a Chinese developer, claimed by PAPER Anne from Combo Travelers. This whimsical tale has players assume the role of a character who has fallen out of their fairy tale and trying their best to find their way back into their own world. Best In Show: Audience Choice went to Last Regiment by Boomzap Entertainment from Singapore. With its tactical action combined with an easy-to-understand layout, it’s no wonder that Last Regiment proved to be such a winner with the attendees during the week. Casual Connect is proving to be fertile ground for indies. The Indie Prize sees around 1,500 developers apply throughout the year. For more from the event itself, check out the official Casual Connect website. Full disclosure: GameDaily parent company Greenlit Content does work with Casual Connect.